Spend a few summer days in Idaho and all your worries will disappear. 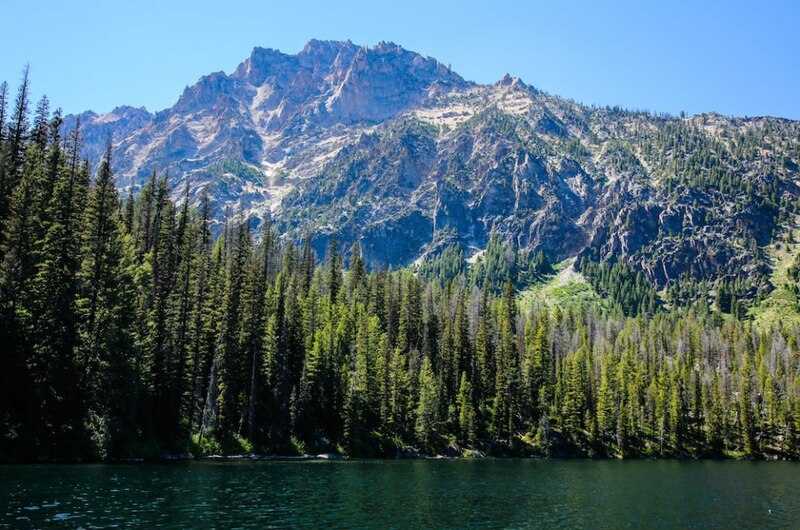 The gorgeous backdrop of the Sawtooth Range and cool water of the Red Fish Lake will have you begging for endless summers in Idaho. 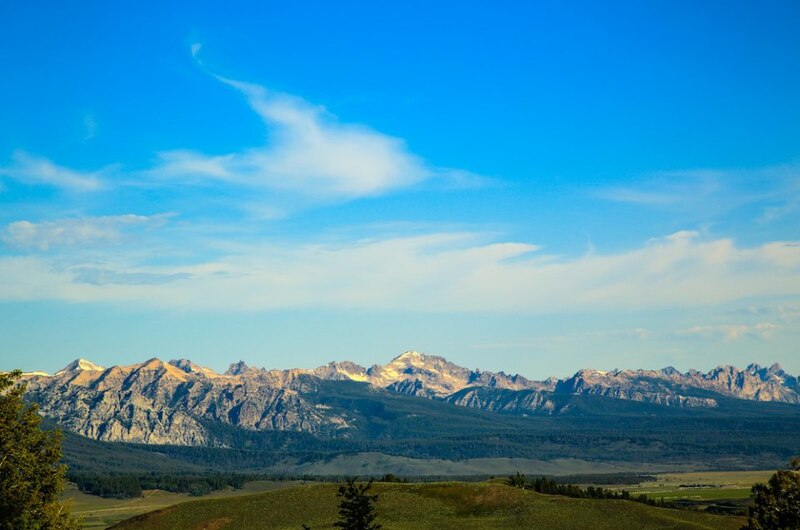 A common road trip site along the Sawtooth Range, a part of the Rocky Mountains near Stanley, Idaho. 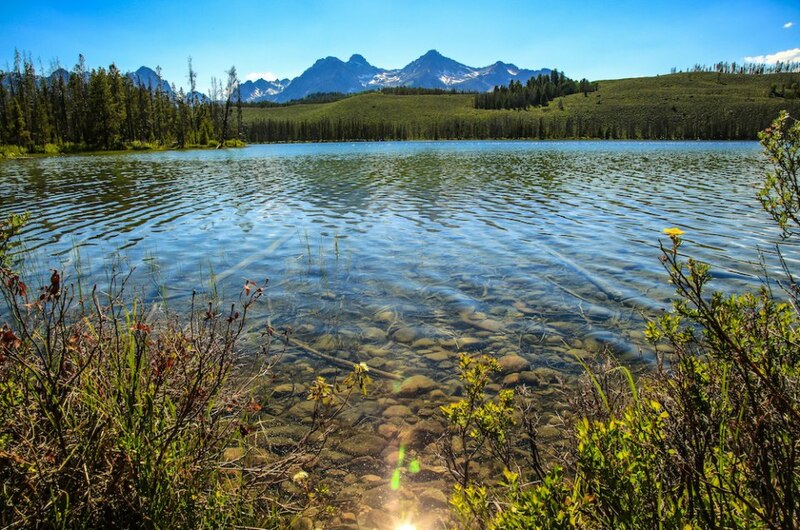 Red Fish Lake is the perfect escape for families and couples. Waking up early allows visitors plenty of time for peaceful silence with the surrounding nature. 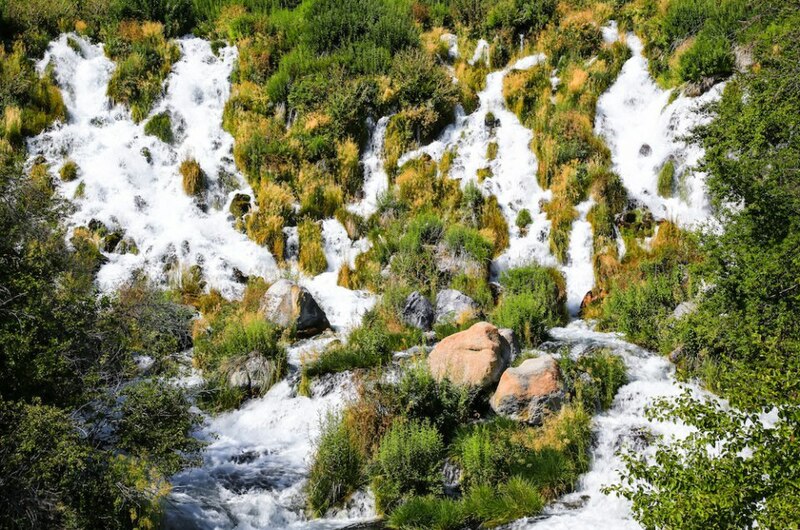 Have you ever thought about hiking to the top of a ski resort in the summer? Well, if hiking isn’t your thing, just take the gondola! 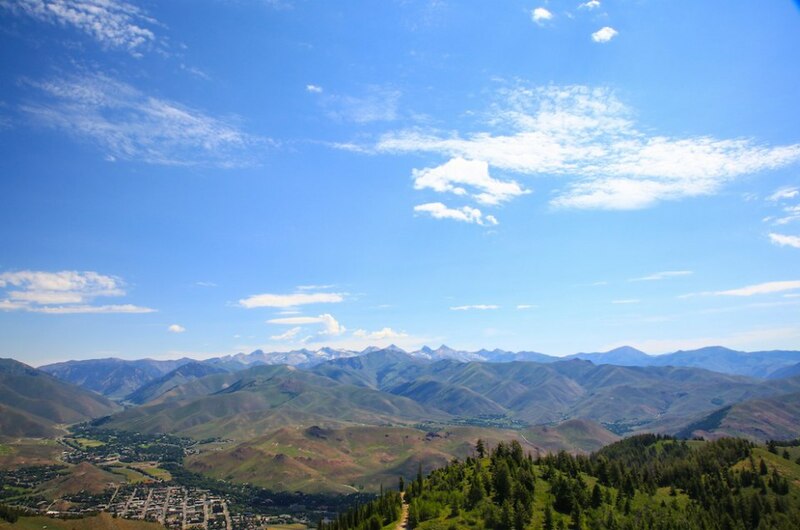 Sun Valley Lodge and the gondola are the perfect spots to enjoy a breathtaking view over the town below. Another surprise- waterfalls! 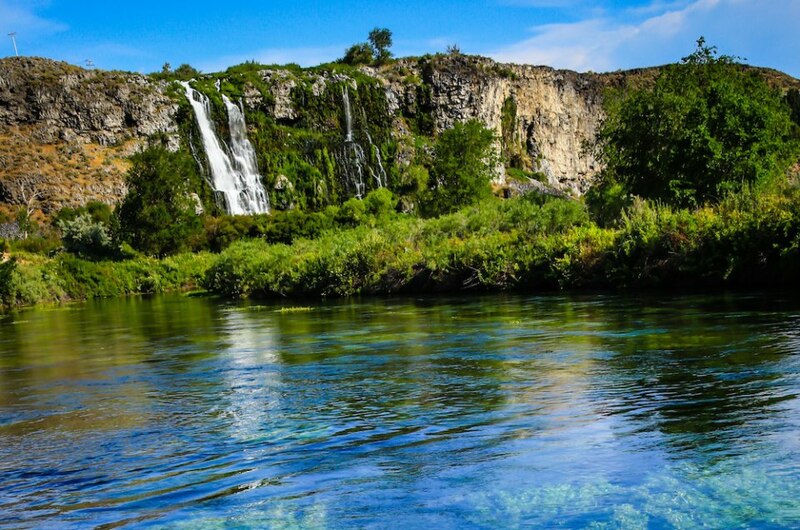 Head to Thousand Springs State Park to explore Malad Gorge and Niagara Springs. Pictured is Niagara Springs, a National Nature Landmark, and pump 250 cubic feet of water out a second. 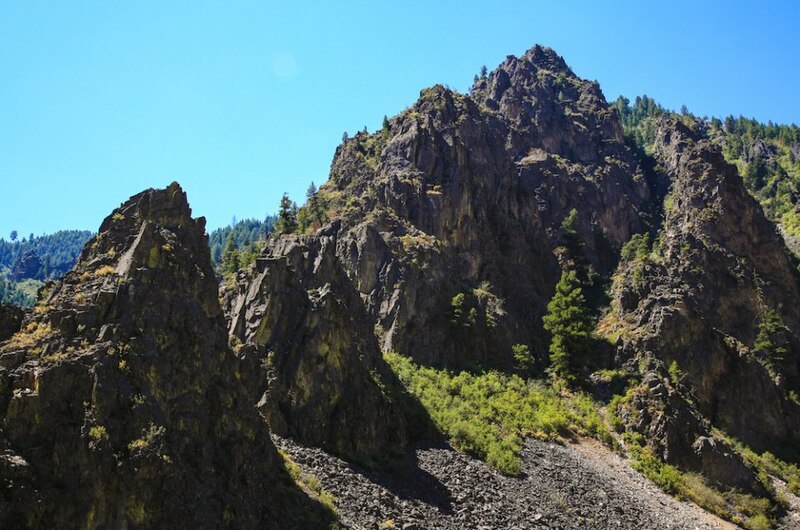 Malad Gorge is a true hidden gem that would be quite easy to miss if you weren’t looking for it. While you can’t camp here, the site is truly a must see. Grab your hiking shoes and a picnic and enjoy the view from above the canyon. 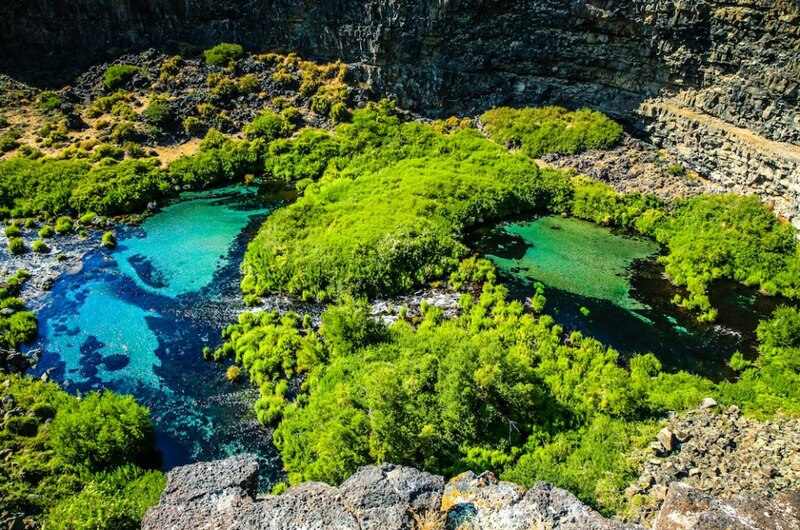 Ritter Island is the perfect spot for bird and nature lovers. Explore the geology, pack your swim suit and relax in the cool waters of Ritter Island. The property was formerly the home of Winnie Miller, who built a dairy farm and was known for having the world’s most famous Guernsey cattle. If you’re visiting during September, make sure to stop by the Thousand Springs Festival of the Arts, featuring over 60 artisians. Another gorgeous road trip view, this time from over the Galena Summit.